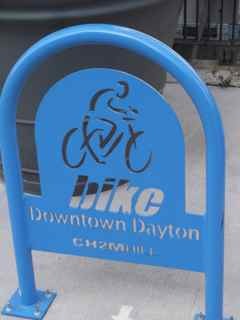 Head to the corner of 2nd & Main and you will be in the center of downtown Dayton. Since 1912, the corner of Second and Main Streets has held a prominent spot in the community. For many years, the Rike’s store at Second and Main prospered as one of Dayton’s premier shopping locales. The store’s fortunes declined in the ’70s as customers abandoned downtown in favor of suburban shopping malls. The store finally closed in 1992. A group decided to find a way to create excitement downtown by creating a multi-use development on one of the cornerstone blocks in the center of the city. 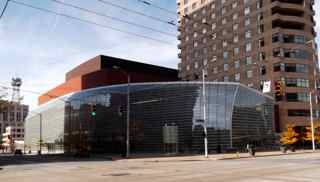 When Dr. Benjamin Schuster and wife Marian made a major gift to the project, the facility was then christened the Benjamin and Marian Schuster Performing Arts Center. Construction began in July 2000, and reached completion in early 2003. Go a half a block south of 2nd & Main and you will head into Courthouse Square. 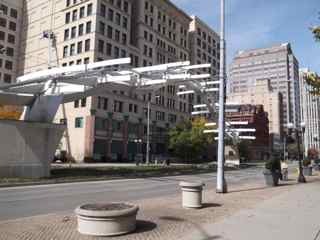 This is an outdoor entertainment facility in the heart of downtown Dayton. Since its dedication in 1974, the Square has been known as THE place to see and be seen. Many different events are held there from concerts to special events, noontime events and fundraisers. 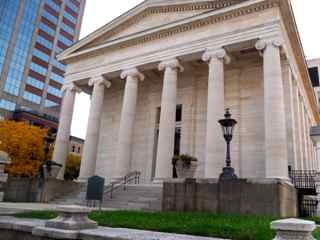 Completed in 1850, the Old Court House is considered to be one of the finest examples of Greek Revival-style courthouses in the nation. Constructed of locally quarried Dayton limestone, its “flying staircase” spirals to the tall, remarkable dome ceilings. The Old Court House has been at the center of many important events, including campaign stops for current and previous Presidents of the United States. President Abraham Lincoln delivered an address right here on the old courthouse in 1859. 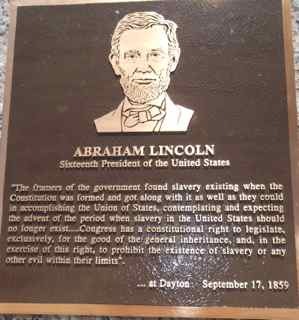 And eight other presidents also have visited this location, including Andrew Johnson, James Garfield, John F. Kennedy, Lyndon B. Johnson, Richard M. Nixon, Gerald Ford, Ronald Reagan, and William Jefferson Clinton. Around the fountain you can see them on plaques. On the plaza, walk south behind the Old Courthouse and you will see the old Arcade. The Dayton Arcade was built between 1902 and 1904 and it consists of five inter-connecting buildings topped by a glass-domed rotunda. 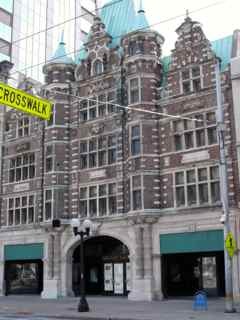 The most notable building, which fronts on Third Street, is of Flemish design and is said to be patterned after a guild hall in Amsterdam, Netherlands. It was totally rehabbed in the ‘70’s but closed in the early 1990’s. 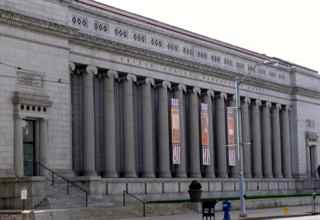 Go one block west on 3rd Street and on the south side you will see what is called “The Old Post Office.” It was built in 1915 and has gone through numerous changes and today you can rent space in the facility. Now go back to Ludlow and head south. The Dayton Daily News Building is a historic structure located at the corner of 4th and Ludlow Streets. According to James Cox’s autobiography, he was turned down for a loan by a local banker who told him “Newspapers have never been known to earn money.” Cox asked Pretzinger (the architect) to "build him a damn bank" so it was modeled after the Knickerbocker Trust building in New York City. 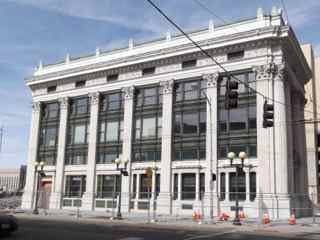 The building was erected between 1908 and 1910 and is where the Cox Newspapers were created. The huge empty lots all around it were the Dayton newspaper&apos;s printing offices which are now done in different places. The empty lots are scheduled to become apartments for Sinclair College students in the near future. Now head east on 4th street and you will end up on Main Street. This impressive sculpture is located within a median on Dayton’s Main Street and helps to honor the Wright Brothers, Dayton’s native sons who invented the world’s first successful mechanized aircraft and ushered us into the Age of Flight. The sculpture is almost a direct representation of the Wright Brother’s first 120&apos;, 12-second flight at Kitty Hawk. The stainless steel material and winged forms alludes to modern flight. This statue was built in 1996. Now head north on Main Street. As you are walking along you will see these blue holders which are used to lock your bike. They are all around downtown Dayton. You will notice the bus terminal is a space between Main Street and Wilkinson. This was built so when the buses were stopping it would not be blocking everything on the streets. You then walk another block and you are back to Second and Main. 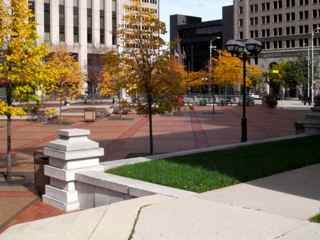 You have seen some of the many interesting spots in downtown Dayton. Please note: The Dayton CVB has compensated me to share my thoughts on Downtown Dayton.